Albariño shares Sauvignon Blanc’s grapefruity tang, making it a great partner for grilled fish, yet it has a flinty minerality all its own. 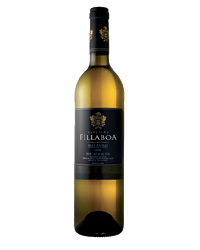 Fillaboa’s estate vineyards in Spain’s Rías Baixas region provide the fruit for this spot-on Albariño, which is full of the bright grapefruit flavors and seashell minerality that make the variety so appealing. The flavors of this zesty white, a joint venture between winemaker Jose Maria Ureta and importer Winebow, run between lemon and pineapple. Viña Nora, a Galician winery, was founded by a group of investors including Javier Alen, owner of the benchmark Ribeiro wine estate Viña Mein. It produces a straw-colored wine that’s fresh and lively, with a light honeysuckle scent and focused citrus fruit. This Albariño producer is located in Rías Baixas’s warmest subregion, Condado do Tea. Combined with the heat of the 2005 vintage, this produced a ripe, tropical fruit–scented bottling with a focused, refreshing finish. 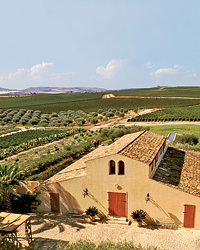 Wines from O Rosal in Spain’s Rías Baixas region typically blend Albariño with two other local grapes, Loureiro and Treixadura. Light and vibrant, Aforado O Rosal is marked by delicate lime notes. Idiosyncratic winemaker Randall Grahm of Bonny Doon grew the grapes for this crisp white in his biodynamic vineyard near Soledad, California. The wine is marked by lemon-zest notes and a lasting mineral finish.